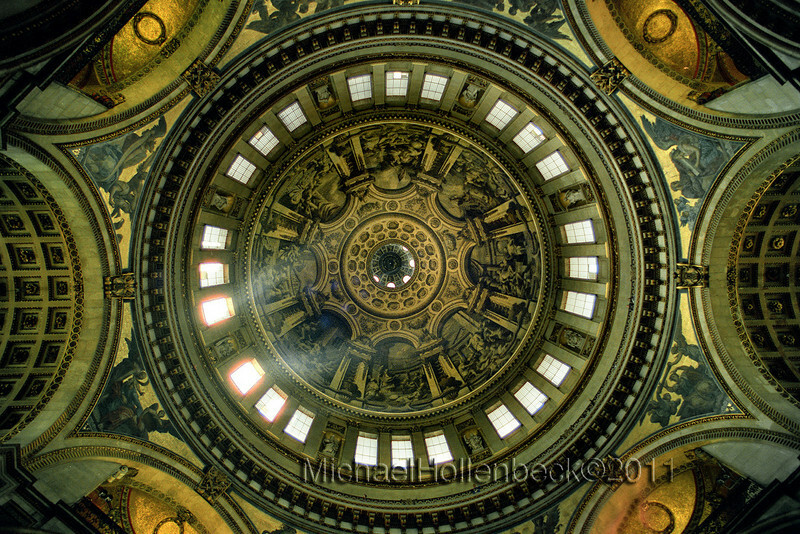 St. Paul's Cathedral looking up at dome. 126 feet high, 90 feet across. London, England, 1990.